Danny vs. the internet: Da Vinci's Mona Lisa identity finally revealed? eat your heart out Robert Langdon. Italian art historian Carla Glori believes she has identified a faint bridge in the background of the famous painting (over Lisa's left shoulder) as a stone bridge spanning the river Trebbia at Bobbio. Using that location and the number 72 (assuming that refers to 1472 when the earlier stone bridge was washed away) also faintly appearing on the painting. [Ms. Glori], said that she was confident the woman in the painting was Bianca Giovanna Sforza. 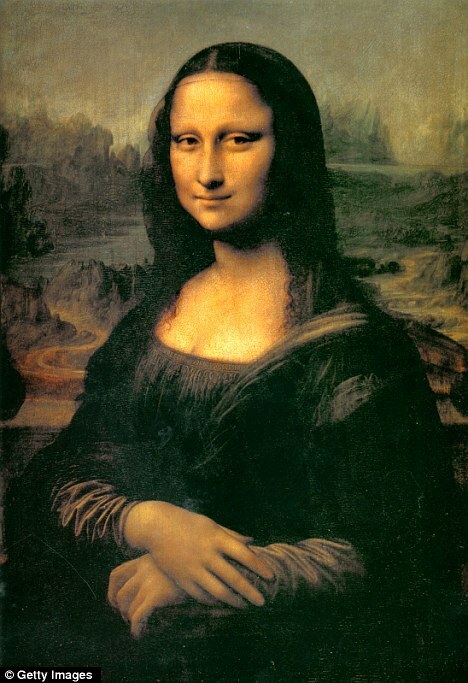 She was the daughter of Ludovico il Moro, the nobleman who controlled Bobbio and who lived 500 years ago - the letters said to have been found in the Mona Lisa's eye last month are said to be S and G, two of Bianca's initials. Miss Glori said: 'From my research I have identified the subject as Bianca Giovanna Sforza and the bridge in the background is the one that spanned the River Trebbia at Bobbio. Is it a stretch? Of course. That doesn't make it any less interesting though.